So what went down between the Jang brothers? Who is Kang Woo? How will Hae Soo react to that kiss? SPOILER ALERT: Do not proceed if you do not want to know what has happened so far. Shall we start with a quick reminder? While Hae Soo is still busy thinking about what just happened, Jae Yul willingly sticks out his face in anticipation of her retaliation. She asks if he gets slapped a lot and he replies it only about oh thirty times. She slaps him and announces that it is now thirty one times. He chuckles and tells her that it’s okay that her 300 day love ended [flicks lighter off] because she only needs one moment to feel love again [flicks lighter back on and puts his face next to hers again]. Are you going crazy like I am right now??? The light turns back on, and she hastily brushes him away. She asks him where he learnt to smirk like that and he replies all men learn that after getting slapped. He even compliments her lips and says they are more moist than he thought. Cheeky. He begins to go through the stuff that fell out of her purse. First he asks her why she carries around her passport and she answers it is so she can leave whenever she wants. He picks up her phone which has a picture of her and another man. He inquires as to who that man is and she replies “my man,” which leaves Jae Yul confused because that is not a picture of Choi Ho. Suddenly she says she feels like throwing up and heads for his bathroom. OCD Jae Yul grabs her and drags her to the lobby bathroom. 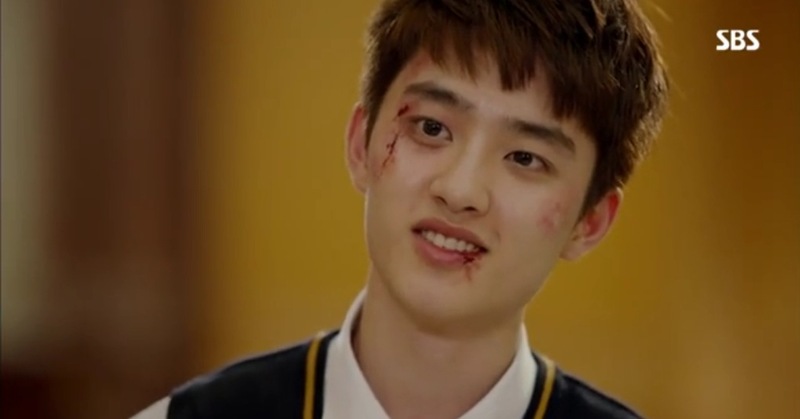 In the lobby they run into Kang Woo who is all bloody and without shoes. Jae Yul tells him to go wait in the park and tends to Hae Soo instead. Kwang Woo does tell Hae Soo “noona, you are pretty.” I am really beginning to think Kang Woo is a figment of Jae Yul’s imagination because she didn’t seem to see him at all! Hae Soo is alone in Jae Yul’s apartment and she is about to pass out, BUT she is worried that Jae Yul will pounce on her while she is asleep. What does she do? She sets up her phone to record her surrounding while she rests on his bed. Jae Yul rushes to the park to meet up with Kang Woo. 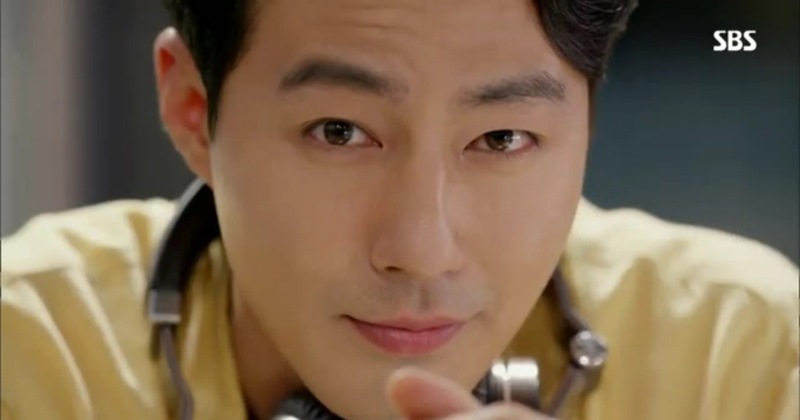 He pulls out some money and throws it at Kang Woo, asking him to go to the pharmacy or the hospital instead. Jae Yul reminds Kang Woo to run away if it gets this bad, and he can run away with his mom in tow. Kang Woo smiles at Jae Yul and says he is writing a new novel. Jae Yul leaves but calls up Tae Yong to come pick up Kang Woo. Tae Yong shows up and Kang Woo is nowhere in sight. What he does find are the bills Jae Yul threw earlier. I am now 100% sure this kid does not exist. The next day Hae Soo dashes out the apartment and forgets her phone, which Jae Yul locates. 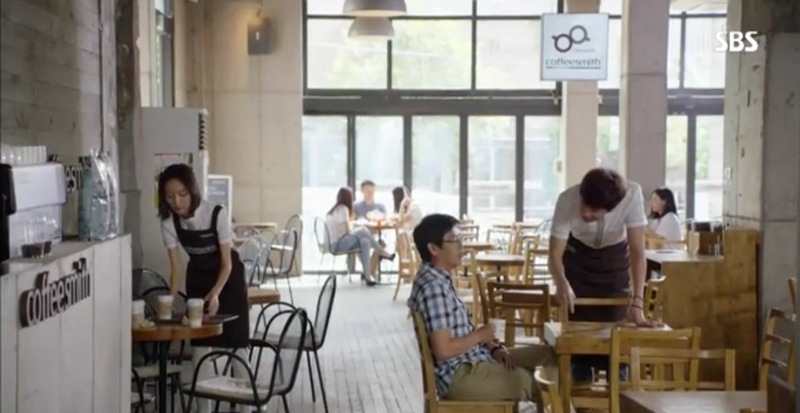 At the coffee shop Soo Kwang is freaking out over the fact that Hae Soo did not return home the night before. Dong Min calmly states that if something did happen between Jae Yul and Hae Soo then Hae Soo would have her anxiety problem fixed for free. Eun Soo concurs and says Hae Soo should be having fun at her age any way, especially now that it’s over with Choi Ho. Just then, Jae Yul strides in to order an ice coffee. Soo Kwang questions him about what happened and Jae Yul responds “we drank, kissed and then I got slapped.” Soo Kwang just has this face of disbelief. 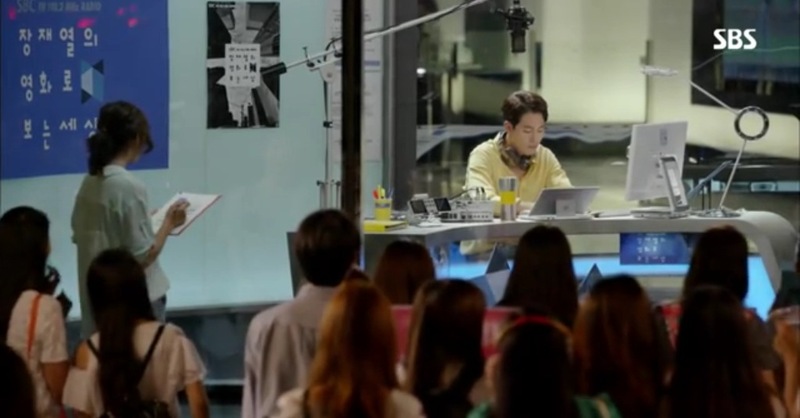 Tae Yong calls Jae Yul to report on the Kang Woo situation. He warns Jae Yul not to be too soft hearted because who knows what Kang Woo is up to. Tae Yong then hands his phone to Jae Yul’s mom. Jae Yul asks her who she likes better, hyung or him. She responds that it is an useless question, but she misses Jae Boem and he has no one else besides her, unlike Jae Yul who is surrounded by friends and girls. She presses for him to hang up because she needs to go visit Jae Boem and then pick peppers. From what she says it is implied that Jae Boem frequently declines her visitations. Choi Ho shows up at the Hongdae house to collect things that belongs to him. 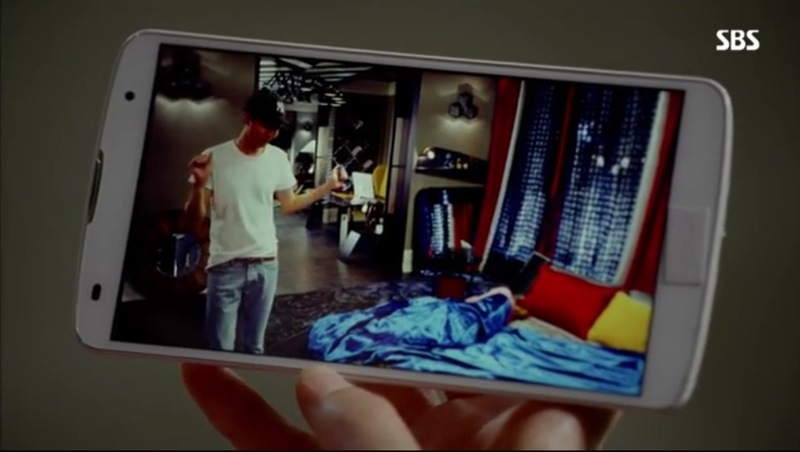 Jae Yul follows him into Hae Soo’s room and snaps photos of things Choi Ho is taking. The two continues outdoors and Choi Ho begins to grab things off the drying rack. Just then Hae Soo calls Jae Yul and they start talking all familiar which infuriates Choi even more. After they hang up, Hae Soo returns the phone to her intern and reaches over to ruffle his hair when suddenly she remembers Jae Yul doing the same to her. SO that ruffle turns into a hard slap on the head. Poor intern. Back at the house Choi warns Jae Yul to keep his distance from Hae Soo because she is not just any girl and she is not meant to be toyed around with for 3 or 6 months. Jae Yul asks what if he plans on holding to Hae Soo for a long time. Choi claims he will get Hae Soo back and that it is over with Min Young. that’s right, take that picture! Dong Min is meeting with Jae Boem again for another session. Jae Boem starts the conversation again with talks of gravity and rotation. This time Dong Min gains Jae Boem’s respect by pointing out a fake tough guy among the prisioners. He then tells Jae Boem about amytal, what he labels as a truth serum. Jae Boem laments that it would be great to give a shot to his mom and another to his younger brother. Later Jae Boem accepts his mother’s visitation but fakes dumb the entire time. Even still, his mom says she is happy he lets her see him this time. At the hospital, Hawnee is getting released even though he still needs therapy. He can’t forgive his mother just yet, but he is willing to receive help. Jae Yul calls for Hae Soo to come by his radio show in order to get her phone back. On the show he talks about falling in love and how heartbreaking it is to become strangers again after a breakup. Hae Soo turns on her phone and gets a message from Choi Hon asking to meet as friends. Jae Yul starts to dance to Kae Sun’s Ship and the Globe (cute song btw), making adorable hand gestures such as raise the roof and hearts. If she doesn’t fall for him now, I don’t know what will move her. do they really have radio stations like this? i’d totally stand outside watching you oppa! doesn’t he remind you a tiny bit of JGS? or is that me just hallucinating? Darn you Dong Min! He calls and totally ruins the moment by telling Hae Soo if she continues to get intimate with Jae Yul she will become desensitized and her anxiety will be cured. She hangs up the phone and texts Jae Yul to warn him not to try anything again and that her disorder is not a funny matter. His response? “But when you slept last night, my heart fluttered a bit.” You are KILLING me, Jang Jae Yul!!! Right then and there Yoon Chul, the man in her cellphone picture, shows up and gives her a hug. The two of them walk off and Jae Yul mumbles to himself that Hae Soo must lead a fun life. Yoon Chul parts ways with her at her family’s restaurant. Her brother in law asks her about her anxiety and her mom hears about it for the first time. The mother tells her to please date even if she doesn’t plan on getting married, and to just do it with anyone (I can’t believe she said that). She gives her disabled husband a kiss as a show of what a “good” marriage is and Hae Soo just rolls her eyes in impatience. On her bus ride home, Hae Soo watches the video recorded on her phone. At first she sees Jae Yul unbuttoning his shirt and freaks out, but eventually continues. For the entire night all Jae Yul did was clean up her vomit, put her on his bed and listen/dance to a little music while watching her sleep for a bit. Then… he goes to the bathroom (combination door remember?) and probably slept there the entire night. Hae Soo finishes the video in disbelief that “that’s it.” I think she is officially starting to fall down the rabbit hole, and my ship has sailed a thousands times over already at this point. how cute is that little dance move? Dong Min and Hae Soo arrive home at the same time and Soo Kwang immediately tells Hae Soo about the thief he caught in the afternoon – the girl Jae Yul met at the convenience store in the last episode. Dong Min identifies her as one of his patients who has conduct disorder. Just then Jae Yul walks in and the girl says Jae Yul called her pretty before and told her to come by some time. Hae Soo calls him to another room to talk. Jae Yul admits to calling the girl pretty, but he denies ever telling her to come over. Hae Soo continues to question his motives, leaving Jae Yul no choice but to call up the police to arrest the girl for theft. Hae Soo quickly dials the police back and explains that that was a prank call. 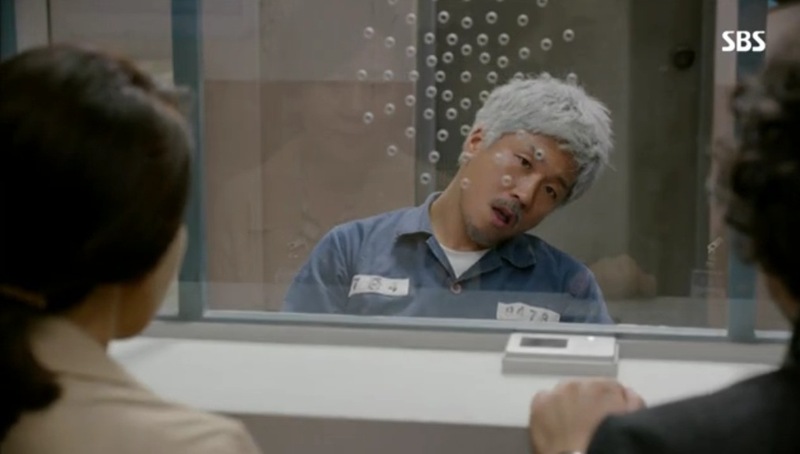 Dong Min gets called late at night to go see Jae Boem because he is crying in prison. Jae Boem tells Dong Min that he has realized that what he thought was a dream is reality. He explains that he saw his brother kill their stepfather, and he is sure their mother saw this too, but at the court hearing she did not testify which resulted in him being charged for murder. He really wants Dong Min to give the amytal to Jae Yul and their mom so they can tell the truth and he can finally be freed. At the same time, Jae Yul rushes to the park again to meet up with Kang Woo. Kang Woo announces that he has hit his father in order to protect his mother. Jae Yul gives Kang Woo a hug and comforts him by saying he did not hit his father, but he was just blocked his father. 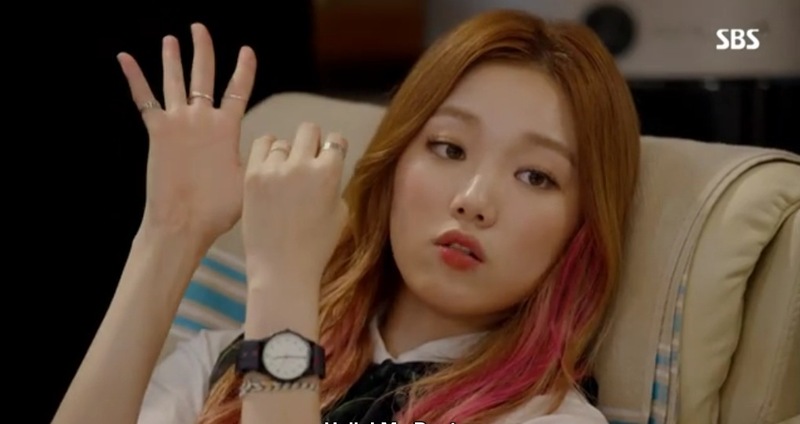 The two then go to Kang Woo’s crush’s house. Kang Woo is too scared to do anything so Jae Yul throws a rock and gets the girl to look out the window. Jae Yul tells the girl to remember Kang Woo’s face and to say hi to him next time, but the girl is completely perplexed. My heart is breaking so badly! I saw it coming from miles away but it still hurts so much! Aw geez, Jae Yul!!!! You are so freaking adorable and now I know you are crazy I love you even more. I am now 120% intrigued because of the whole Jang family story. I don’t think Jae Yul intentionally killed their stepfather, but this sad tragedy really tore the family apart. And man, Jae Boem did not deserve to go to jail for something he didn’t do at all! To think your own mother betrayed you in favor of another child must be a terrible blow to the heart. Wow, this episode is epic, and I hope the show carries it on. I’m so impressed by the powerhouse acting and the amazing script. I also can’t believe they played one of my favorite indie songs – Hero by Family of the Year. What an apt song though! I ABSOLUTELY cannot wait for the next episode. This show is really just amazing. Watch it now! It’s not too late to start!!! Hi, thanks for the recap. Yours is the first one I saw after google-ing for recap. Oh, how my heart breaks when it’s confirmed that Kang woo is only in his imagination though I kinda knew he would be. Hae soo, take care of Jae yul well okay, you might even cure yourself in the process. I’m hooked. Will do. You keep ’em coming okay? Thanks again. In Sasebo, Japan, there’s an radio station that faces the shopping arcade on the second floor. When there’s less noise at night, you can hear the talk show or the music from the station playing in the area! That sounds really cool! Can you actually see the host? I know the one at Emerson College also has glass panels and people passing by can hear it, but I have yet to see hosts and such. Are you talking about the scene where he puts Hae Soo to sleep? It’s a song off the OST called “Sleepless Night” by Crush, featuring Punch.